Happy Spring, y’all! We had two incredibly beautiful spring days in a row this weekend, and I think it’s safe to say spring time has finally arrived in central Pennsylvania! We even had people over for a cookout to “christen” our deck and backyard…the first time we’ve been able to use it since we moved in 4 months ago. I have a feeling we will be spending a lot of time out there in the coming months! So, inspired by the tulips and hyacinths sprouting up in our front yard, I whipped up a little spring burlap garden flag this week with the help of my Silhouette! The first step was to cut the burlap to size – I made mine 10″x 15″ to fit our garden flag stand. Do you know the trick to cutting burlap so it doesn’t fray? Pull out one of the burlap strands where you want the cut – you’ll be able to see the “hole” of the missing strand and cut along it. That will give you a nice straight line with no fraying. 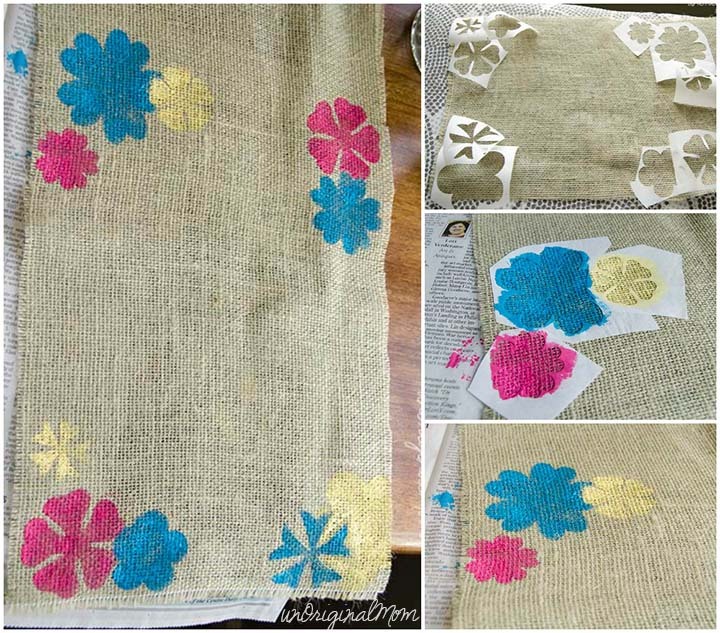 I decided to use freezer paper stencils to paint some flowers on the burlap. (You can find a great step-by-step tutorial on freezer paper stencils along over at The Thinking Closet!) I cut out a variety of flowers in different sizes, ironed them on, and painted them. Since I wanted a few of the flowers to be overlapping, I had to freehand some of the painting around the edges after I peeled up the stencils…that was a bit tedious. If I had to do it again, I’d probably paint one whole flower, let it dry and peel of the stencil, then apply another flower stencil and paint over top of the first one. Ah well…next time! After laying out the HTV where I wanted it on the flag, I ironed it on. The trick to ironing HTV is keeping your iron in one place while applying pressure for about 20 seconds or so, letting it cool for about 30 seconds, then repeating until it is fully adhered. I had no trouble getting it to stick to the burlap! 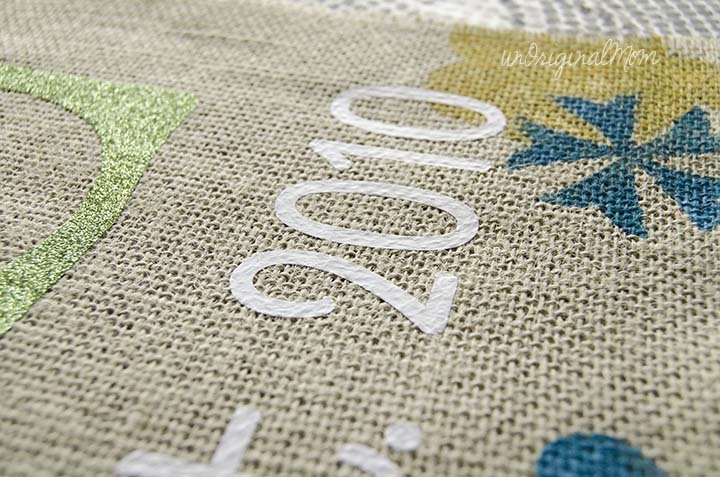 You can see that the texture of the burlap is visible through the regular HTV, but the glitter HTV is much thicker so it doesn’t show through. It works fine for my garden flag, but might not be the look you’re going for on particular projects…so just keep that in mind when trying out HTV on burlap! I folded over the top edge of the burlap and hot glued it to create a sleeve that would slide onto the garden flag holder. It was hard to photograph…but it looks SO great in the sun! With the colorful flowers and the glitter monogram, this flag is cheerful and welcoming! 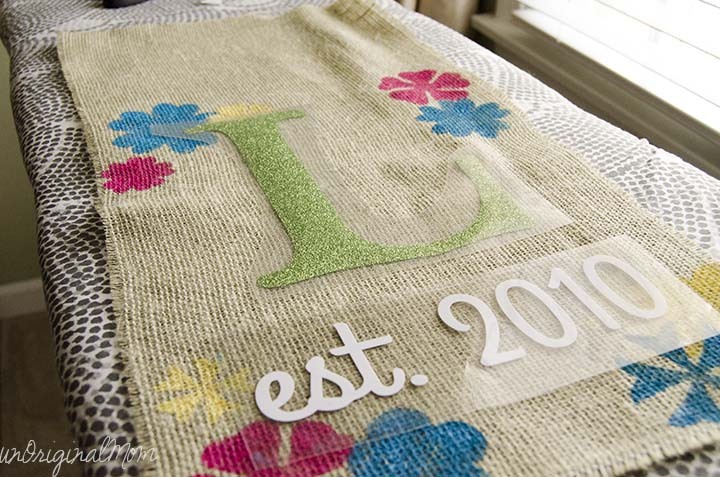 I am so excited about how the heat transfer vinyl worked on burlap – it looks great! 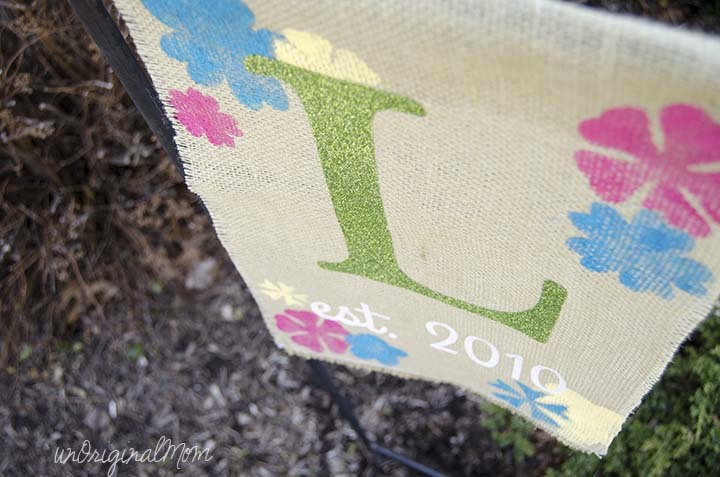 And what possibilities…I don’t think this is the last time you’ll see a burlap and vinyl project from me! Aaaaand that’s NOT all, folks – the inspiration doesn’t stop here! 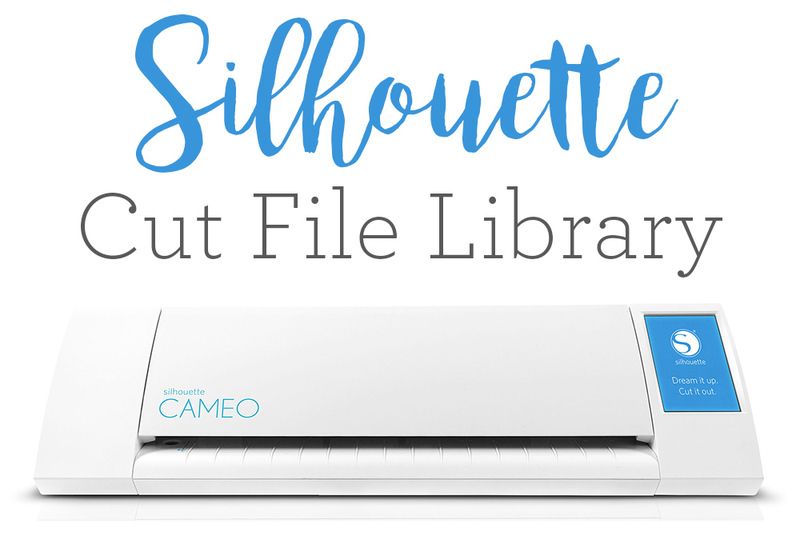 A bunch of my buddies from the Silhouette Challenge Facebook Group are all sharing spring silhouette projects on their blogs today. 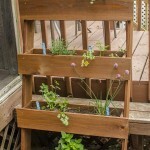 Click through for some great project ideas, or pin it to come back and browse later! Disclosure: I was not compensated for this post, but I did receive product from Expressions Vinyl to complete this project in exchange for an honest review. As always, all opinions are 100% my own! Darling…Love the sparkle! In a house of boys, I can never get enough glitter. Have a great week! Thanks so much Jamie! If you do give it a try, be sure to come back and tell me, I’d love to see it! 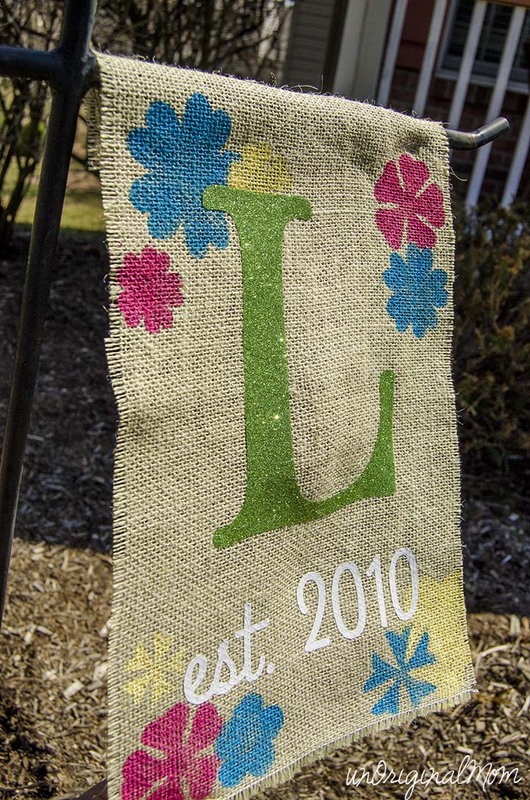 I had no idea that you could put HTV on burlap! I need to try this…now! I have the perfect place to put it…Thanks for the inspiration. Yes, I didn’t know that either until I tried it! It opens up a whole new world of possibilities, doesn’t it?? If you make one of your own, be sure to come back and tell me, I’d love to see it! That glitter HTV! I need some. I want some! So happy I have an expressions Vinyl Gift Card. I still can’t get over the finished look of this project, Meredith. It’s outstanding! And you’ve definitely inspired me to give glitter HTV a try. Also, thanks for the link love to my freezer paper stenciling. I love getting others hooked on that medium…lol. Aw, thanks Lauren! I honestly wasn’t expecting it to turn out as nicely as it did, so I was pleasantly surprised with the end result. I love the glitter HTV, this was my first project with it, and for sure won’t be my last! 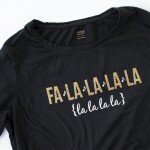 And you are the queen of freezer paper stenciling, so of course I had to link to the master! Love all your tutorials and tips on that, I look them up to remind myself every time I use it! I don’t do much with fabric either, Kate…I don’t even really classify burlap as fabric in my brain, haha, since to me it’s more of a crafting medium, especially since you don’t have to sew it – win! It’s really easy to paint on or apply HTV! And your subway art is beautiful!! Fabulous Banner. 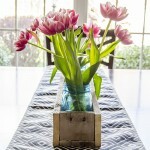 The glitter is a great touch too, a great contrast against the burlap. Love the glitter monogram! 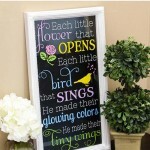 It makes a wonderful garden flag, and I can only imagine how the glitter catches the light outside. Thanks for sharing that Burlap tip too! Thanks Kristy!! It actually turned out much better than I was expecting…and it is still holding up perfectly! 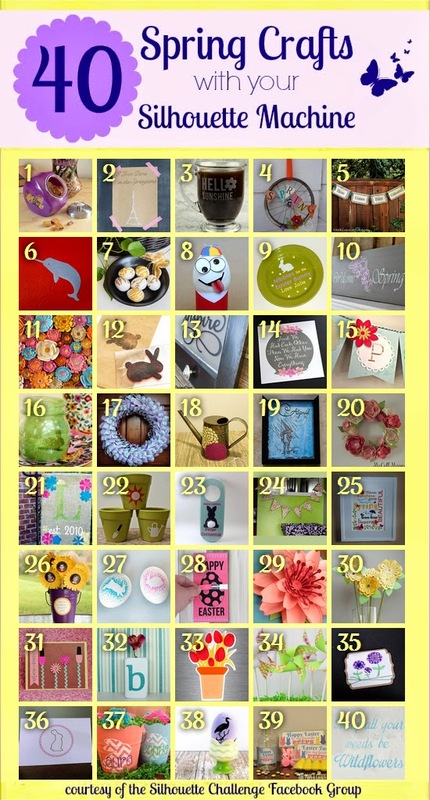 Do you know if you can buy the heat transfer vinyl at hobby lobby, Michaels, Joann fabrics, etc? Love this! How does the HTV hold up outdoors? I’ve learned that colored fabric and burlap fades fast. This looks great! Do you recommend spraying flag with an outdoor solar protectant? Thanks! Thanks Susan! I was actually really surprised with how well this held up. We had it outside in the sun all summer, and it didn’t fade much at all. The HTV and burlap did fade a bit but not enough for it to be too noticeable (though I used a lighter burlap to begin with), and the paint didn’t at all. I did toss it at the end of the season though, because the burlap was fraying quite a bit…so if I did it again, I’d do some fray check along the edges or something. If you had some solar protectant it probably couldn’t hurt, especially if you used really vibrant colors, but I didn’t really find it necessary! It’s so pretty and your tutorial so clear, thanks for sharing. Thanks Alex! I think the “est. 2010” was “Grand Hotel” and the letter L was a font called “Mary Jane Antique.” I believe they’re both free fonts. How do you keep it from fading in the sun? I did red htv glitter and it has been outside less than a month and the red had faded and looks like orange. Mine did fade a bit through the summer too. But I think they make UV protectant fabric spray, I bet that would work to keep the colors bright…I think I will try that next time I make a garden flag.